Moonlit waterfalls are beautiful wether they exist in nature or are created. The moon is from our back yard, the waterfall is part of Bushkill Falls about twenty miles away. 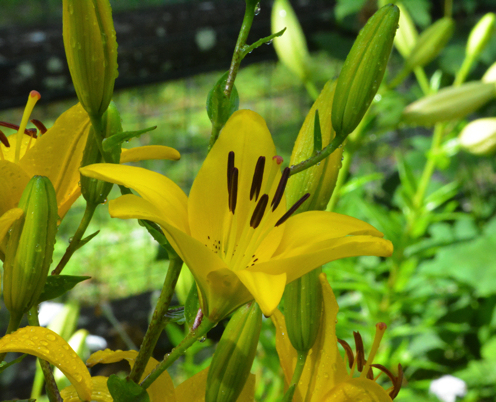 Lilies are the crown jewels of our garden. When they bloom Summer is in full gear. Lilies remind me of warm weather, swimming pools, lakes and walks in the park. 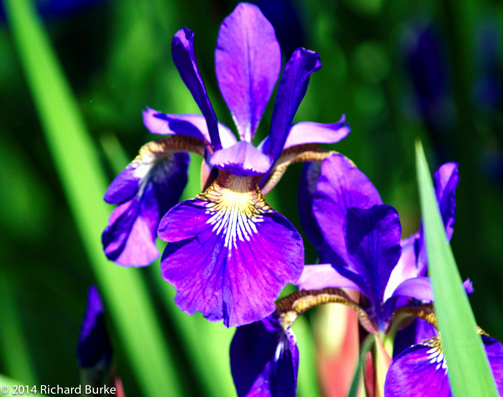 I think they might be my favorite except for tulips, daffodils…oh never mind, I don’t really have a favorite. They are just beautiful flowers. Digitalis is a medication prescribed to certain heart patients. Digitalis toxicity is a complication of digitalis therapy, or it may be occur when someone takes too much of the drug at one time. 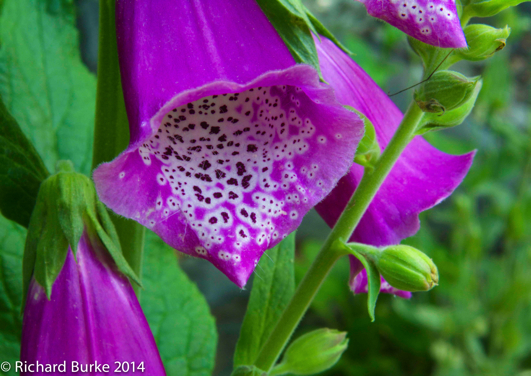 Digitalis is made from this beautiful plant called Foxglove. To me it is interesting that certain medicines can also be poison if too much is ingested. One of the reasons to grow this plant in a mountain garden is that animals will not eat it and therefore the deer and rabbits stay away from your garden. You can buy a print of this image at my commercial gallery.